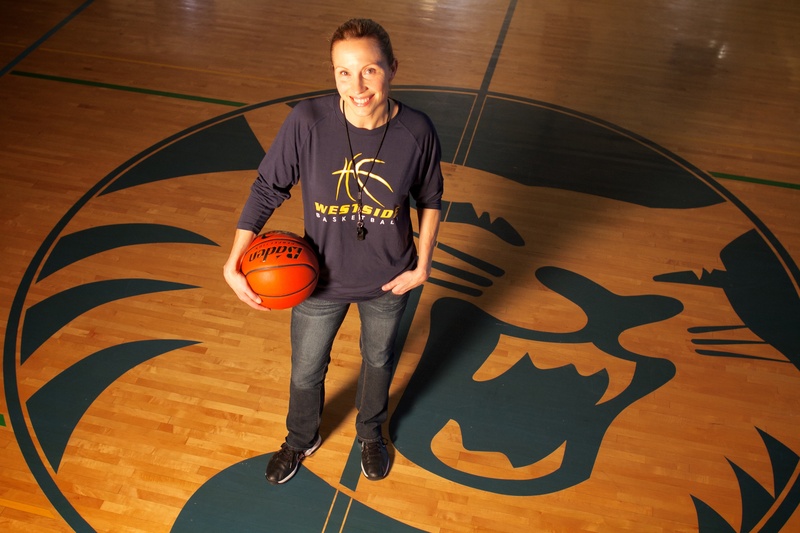 Sonya Elliott, WSHS Head Girls Basketball Coach has been named Metro League Girls Basketball Coach of the Year. Sonya Elliott, head basketball coach for West Seattle High School Girls Basketball Metro League. The award is determined by a vote of all her fellow coaches, "Which is a real honor to me," she said. She's been the coach there for three years but this is her first year as a head coach. "I'm fortunate to have a great coaching staff," said Elliott. "My direct assistant Ashley Iaone, has been with me from the start. When we took over the program three years ago we wanted to build pride in the program (...) we wanted to get girls excited about basketball. I love the game and i've been playing for 30 some years. This is a good place to start. The first year of Elliott's tenure at West Seattle they only won three games. "It was difficult. I coached at Blanchet High School, I was an assistant there and we had Varsity, Junior Varsity and C Squad and we had to cut people." Then she came to West Seattle and things were different. "I was super nervous my first year. We had the big meeting at the beginning of the year and we had 14 girls try out. And it just broke my heart. The fact that girls didn't want to be part of the program." Since then she has worked steadily to build team camaraderie and to "get girls excited about playing basketball." This season the lady Wildcats record so far is 13-8, and they won the Metro-Sound Division Title which means for the first time a banner proclaiming that fact will hang in the gym and they will be in the District Tournament. "This year we had four girls that were already on the team and brought in freshmen that have good attitudes, positive energy and we worked really hard to teach them the fundamentals (...) We have two seniors and they are doing an amazing job being positive and keeping everybody focused." Though she herself voted on who should get the honor she did not expect to get it. "When I saw that I was chosen I was surprised and honored," said Elliott, " I wasn't trying to win anything. I just wanted to build this program and help young kids and I actually recently had a girl's mom contact me and ask about coaching like, what should she do? And I told her, 'Just get out and start coaching." "If you love coaching just get out there and do it."